This practical new title from LexisNexis Butterworths is the first text to provide a full narrative guide to the Housing Act 2004, providing detailed analysis and commentary on the new law and its impact on practice. Using examples, flow charts and summaries to demonstrate the practical implications of the new law in a digestible format, the book examines all the primary and secondary legislation ensuring practitioners are fully up-to-date with all the latest law and practice. 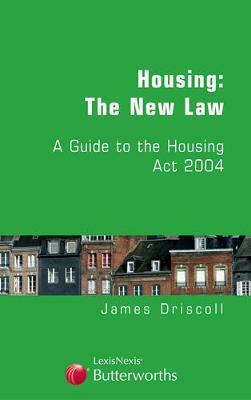 The Housing Act 2004 is the most radical measure to affect private sector housing and private landlords for decades. This is an essential work for all practitioners who will have to apply the new legislation.